Looking for a quiet getaway in a rural setting? Come to Eckert’s Grafton Farm where the air is fresh, and the crops are ready for picking. Our peaceful farmland sits on scenic Mississippi River Bluffs, and we’re close to Alton, IL, just a 40-minute drive from St. Louis. The Field Access Pass is one of the best outdoor entertainment deals around, where kids and adults can make lasting memories while frolicking around the farm and having a grand ol’ time. There’s nothing quite like the experience of heading out to the farm to pick fresh crops straight from the field. At Eckert’s, you can stroll the fields for a few hours, taking your time to pick the season’s natural bounty of fresh fruit. Imagine how much more delicious a bushel of apples or peaches taste when you know you’ve picked them with your own hands. In addition to a satisfied feeling, our fruit is ripe and juicy, way fresher than you’ll find at most groceries. Fill boxes and bags with as much as you want. We love sharing what we grow with everyone. When fall season rolls around, be sure to stop by Eckert’s Grafton to pick your own ripe pumpkins. We’ve got all sizes available for your home cooking and decorating ideas. Situated atop the Mississippi River Bluffs in a quaint, rural setting, the Grafton Farm opens in the summer with blackberry and peach picking (when available) and closes in October after our apple- and pumpkin-picking seasons. The Grafton Country Store offers guest favorites, including Eckert’s fresh produce, apple cider, apple and pumpkin butter, honey, Amish salsas, jams and jellies and limited bakery treats from our Belleville bakery department. During late September and October, entertainment is offered during the weekends and includes carnival rides, pony and camel rides, our Golden Goat Bridge, a petting farm and miniature golf. You, your family and friends are all welcome to stop by Eckert’s Grafton Country Store anytime you’re in the mood for down-home baked goods and sweet treats. The roots of this country store go way back, and we like to maintain the tradition of homemade goodness made from fresh ingredients. Store specialties include homemade pies, fruit jams and jellies, Amish salsa, apple butter, pumpkin butter and apple cider. 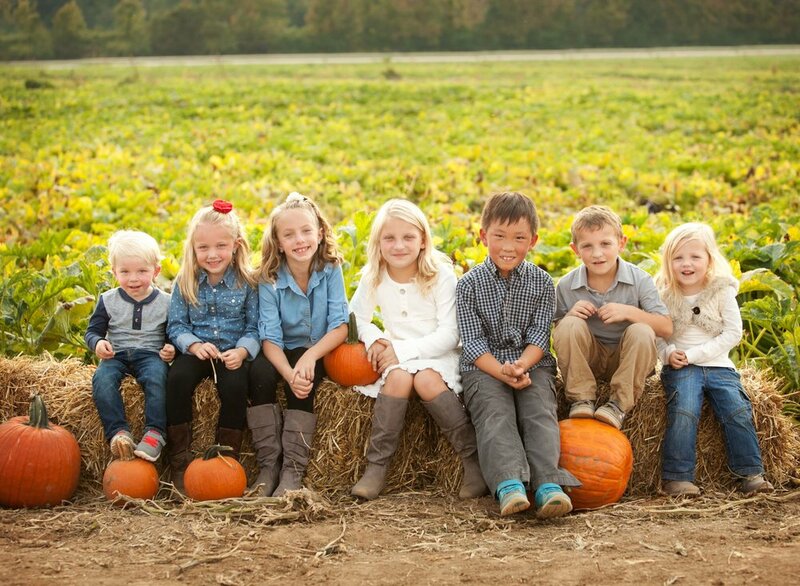 Make Grafton Farm a family destination during apple and pumpkin seasons. In addition to crop picking, there’s all sorts of kid-friendly activities to keep the young ones happily busy while parents snap pics for the family photo collection. School tours are another wonderful way for kids to see crops and farm animals in person. Fresh from the farm always tastes best! Grafton's pick-your-own crops are available July through late October. We offer kid-friendly activities during festivals in the fall during apple and pumpkin seasons. We offer School Tours and Field Trips during Peach Picking, Apple Picking and Pumpkin Picking seasons at our Belleville, Grafton and Millstadt farms. Crop availability varies by farm. The all-day field access pass will allow you to enjoy fruit samples, unlimited rides to the picking areas, fresh farm air and lasting memories. On Monday* enjoy FREE field access, Tuesday-Thursday $1/person, Friday through Sunday $2/person (children under 2 are free). On Labor Day + Columbus Day, field access will be $2/person. Come Visit the Grafton Farm! Situated atop the Mississippi Bluffs just north of Alton, Illinois and less than 40 minutes from St. Louis! From Frozen Custard to Private Parties, Year-round there is always something fun for families at Eckert’s! Keep up to date with Eckert's events and news — and receive special offers by subscribing to our emails!